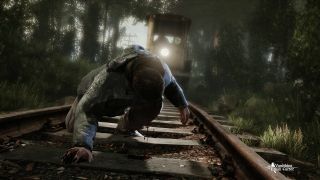 A new trailer for The Vanishing of Ethan Carter has turned up at Gamescom, and while it's not particularly informative, it is a handy reminder that the game will launch next month—and that preorders for the PC release will soon be available. In a twist I found rather oddly satisfying, the news of the looming PC preorders came as part of The Astronauts' announcement that their new game will come "first to consoles" on the PlayStation 4. "Sony has been incredibly supportive and pro-active in making sure that happens," the studio said by way of explanation on its website . But the PC release will be first . "Of course nothing changes as for our PC release," it continued. "The game still debuts on PC in a few weeks, and only then comes to PS4 sometime next year." "In a few weeks," to be (slightly) more specific about it, is sometime in September.